Speed painting tutorial Mech robot Gaiking Digital painting. In this tutorial I use Photoshop. Here is how to draw and paint speedingpainting study video tutorial and step by step image process. You can also find step by step tutorial by scrolling down further. Well, speedpainting definition, as far as I understand, from the concept art standpoint is usually a study of subject (values and composition mostly) that is done in one sitting (approximately 20-60 mins or could be up to couple hours but not more). If someone spend more than a few hours to days, then it is a timelapse video painting, not speedpainting. In this video demo, I use Photoshop CS5 and Wacom tablet Intuo as a painting tool. And if you really like Mecha stuff these video tutorials are made especially for those who wants to draw and paint Mecha robot Drawing Mech or Mecha Tutorial (this one show quick sketch and painting mecha, kinda cool. One of my better ones). 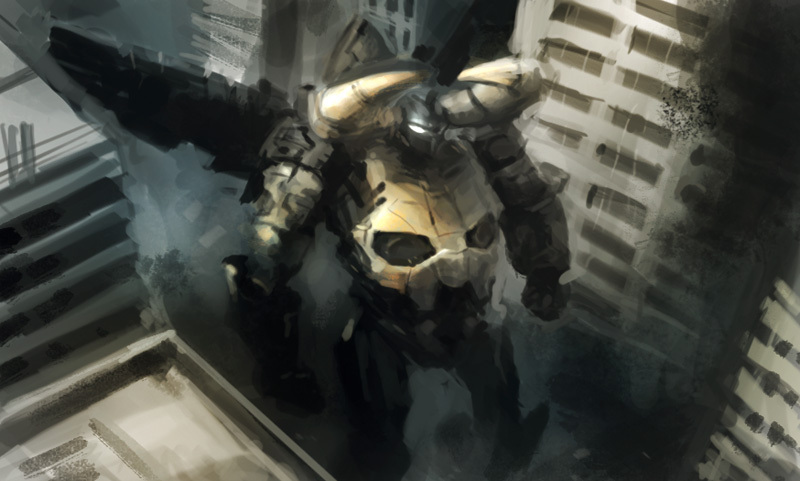 And this video, Concept tutorial Drawing Giant Mech, also pretty similar to the first one in regard of painting process. Digital drawing tutorial Mech soldier is different approach almost peedpainting like video and somewhat gets different result than usual. Also you can find some more mech or robot tutorials by browsing thumbnails on top of the blog. These are a few steps I usually post down here so it would help you along with the Mecha or robot painting design tutorial. Is there any way you’d allow me to use this for a book cover for my next book? i have a doubt and i dont know how to do it, its the ligts: how do you do the lights i mean do you use the color dodge on the brush or how?? ?